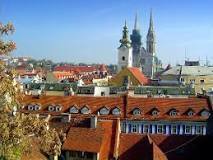 If an investor is looking for a reasonable price for real estate in Europe one should consider Croatia. The country is one of the most beautiful countries on the continent. Croatia has everything a potential home buyer could want. There are unspoiled beaches, clear blue seas and lakes, fishing villages and medieval walled cities. There are ruins from every main period of history from the Roman period to the present day. There is an entire mostly pristine lake district, with picturesque mountain hamlets. Not only can one make an investment in a historical home, there are no real estate property taxes. This is a major advantage over other areas in the region. 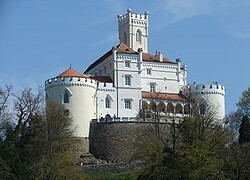 The only other countries in Europe that do not collect property taxes are Liechtenstein, Malta and Monaco. Ireland would have been on the list as well, but the country recently initiated a property tax as a way to deal with its rather large debt problem. Although prices for real estate in Greece have dropped substantially since the sovereign debt crisis in Europe, property taxes have been rising there as a way to balance the federal budget. Montenegro is still a good place to find reasonably priced real estate but the country is a bit bucolic. 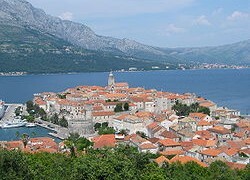 Croatia as a member of the European Union is more advanced economically, and therefore one can expect better amenities. There still is a small stock of historical properties for sale. Joining the Union in July of 2013 has had little effect on the housing market. Real estate prices have remained largely moribund after prices fell some 30% in the financial crisis of 2008. However, an uptick is beginning and is likely to accelerate soon. 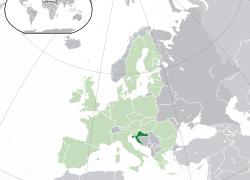 Croatia has more coastline than most countries in Europe. The country has some of the best properties available on the continent. Most importantly these scenic properties can be had at some of the lowest prices in Europe. As the tourism market increases, property prices are subsequently increasing as well albeit slowly. More travelers are falling in love with Croatia every year. As more visitors arrive and interest in acquiring property increases, an investor can expect to double the value of their property in a period of 5 years. The short term rental market will become more lucrative as tourism expands. Construction of housing in most areas ground to a halt with the financial panic and resulting sovereign debt crisis in many parts of Europe. Certain areas that are popular with the wealthy especially Europeans are finally seeing price increases. These include the regions right on the Adriatic and the old towns of Dubrovnik, Split and Rovinj on the Istrian Peninsula. Istria is the largest peninsula in the Adriatic region. The landscape away from the coast is dotted with vineyards, olive groves, evergreen cypress and myrtle. One can view numerous aged watermills and most of the houses are built from stone. Many visitors compare the region to Tuscany Italy. The largest group of foreign property buyers here are from Germany. 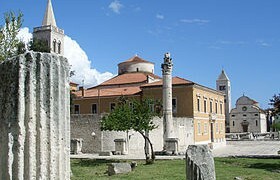 The central Dalmatian region near Split, is known for its incredible historical sites and settings. Make sure you engage a lawyer in a title search particularly in this area. Years of emigration, past wars, numerous subdividing and changes in ownership have made legal possession of property particularly pertinent here. Medieval Dubrovnik has been meticulously restored under a UNESCO reconstruction plan after withstanding a seven month bombardment between the years of 1991 and 1992. This was during the Yugoslavian Civil War that finally led to Croatian independence. In the early 2000 ‘s this city saw increases in property prices of 20% to 30% on an annual basis. Since the financial disorder of 2007 and 2008 prices have dropped somewhat making the area plausible for outside investment again. Space is limited inside the millennium year old fortifications of the city making the area quite exclusive. Better yet for investors, it has become a major destination for high end cruise ships who seem to arrive daily. There are not enough facilities in the nearby resorts for all the tourists who come here, so renting out a new property can be quite lucrative. Tourism is Croatia’s largest source of foreign revenue. Some of these particular areas can be quite pricey. 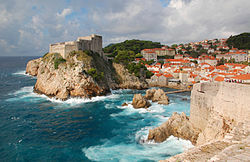 In the Old Town of Dubrovnik for example, it costs $385 USD (United States Dollar) to $513 USD a square foot, which is the equivalent of 3,000 to 4,000 Euros a square meter. Other areas that have drawn special interest among foreigner buyers encompass islands off the coast of Split. These would include Brac, Hvar, Solta and Vis. It is access to the water that makes these areas more attractive. Villas can be had in prime areas on the Dalmatian cost from $1.50 million to $2.5 million USD. The most frequent buyers before the European crisis was the Irish and the British. Investors are more spread out among countries of Western Europe now. Many more Americans have arrived over the last couple of years. Not surprisingly there is increasing interest from Russia and some of the former republics of the Soviet Union like Ukraine. A sizable amount of prospective buyers are from Croats who are living overseas but would like to have a second home or retirement property in Croatia. Other expatriates from former Yugoslavia republics living abroad can also be found in the mix. There are no real restrictions on the purchase of property in Croatia by foreigners. The only exception to that rule is if the country the buyer is from restricts real estate investments by Croatians. For Americans reciprocity depends on your state of residence. More than 50% of American states have signed such agreements with Croatia. Buyers originating from areas outside these understandings are required to set up a company of ownership in Croatia. These enterprises cost about $1,400 USD to establish and have a carrying cost of about $200 USD a month. These companies should be generating some sort of income, even if it is a small amount. The best way to achieve this is to rent out the property when not in residence. However, you must keep in mind that if you receive rental income from your Croatian property, you will be subject to income tax. For individuals it is 25%. The corporate rate is 20%, 10% or maybe 0% depending on where you purchase the property. There are established free zones to encourage development. If you wish to purchase a home or property in Croatia an investor should allow 10% on top of the actual purchase price to take care of the other expenses that will be incurred. When buying property in Croatia an investor needs to do a title search. Prospective buyers pay a 5% transfer tax and lawyer fees are from 1% to 1.5% of the purchase price. If a buyer is taking over the shares of a company that owns a property or home there is no transfer tax. It matters significantly what your property is classified as. It comes down to a particular date. If you buy a property built before December 31, 1997 the usual 5% rate applies. The same is true if it is a private sale for a property built later. However, if you purchase a property from a developer or self employed builder that was built after that date it can make a big difference. You could be charged an additional 22% sales tax known in Europe as a VAT (Value Added Tax). Sometimes the builder absorbs this cost as part of the sales price, but not always. In other words buyer beware. Fees on properties run about $684 USD to $820 USD a year. This is the equivalent of 500 to 600 Euros. If you plan on selling your property, you need to know the rules governing capital gains. There are none to be paid if you qualify under three different possible categories. That is if you occupied the residence while you owned it, that means that you actually lived there. Second, you owned the property for a minimum of three years. Third, you are selling the property to a spouse or to a member of your immediate family. Any one of these would allow you to escape the tax man. If you attempt to sell property that you owned privately in under three years the capital gains tax is 35%. The Croatian corporate rate is 20% or less. It is reduced to 10% or even 0% if you are selling property in certain areas marked as free tax zones. The opportunity to buy property in Croatia is now, but the window is closing. As economic recovery in the country and Europe at large continues, prices will continue to rise accordingly. I follow the BBC for general overseas news and the Fox News Business Network for business news. For my statistics I usually go to international organizations or those that have a global interest. These would include the IMF, the World Bank, The Heritage Foundation, etc. Some of the best sources can sometimes be from agencies within the individual country itself. However, one must guard against manipulation of some of the facts and figures.